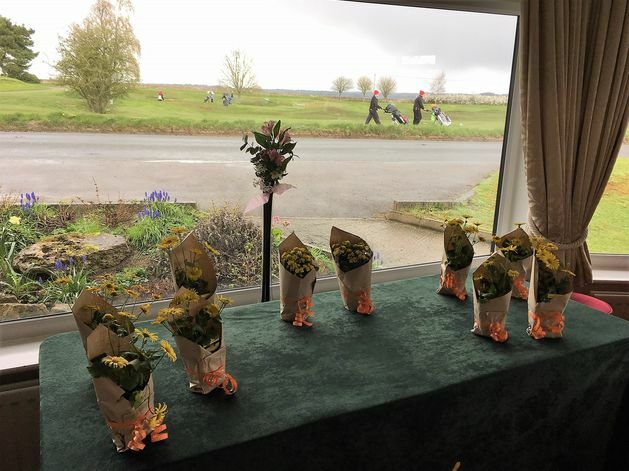 Beautifully organised by Kingsdown's Ladies Captain, Ann Vinall, and her many helpers, the Ladies 4 Ball Betterball Open on Tuesday 2 April was a great success - even though the inclement weather made it fairly heavy going for those taking part. Viv Monument and Jan Scott did a sterling job 'doing the cards' with Katie Dove Medows picking up the cards as soon as the golfers came off the 18th green. 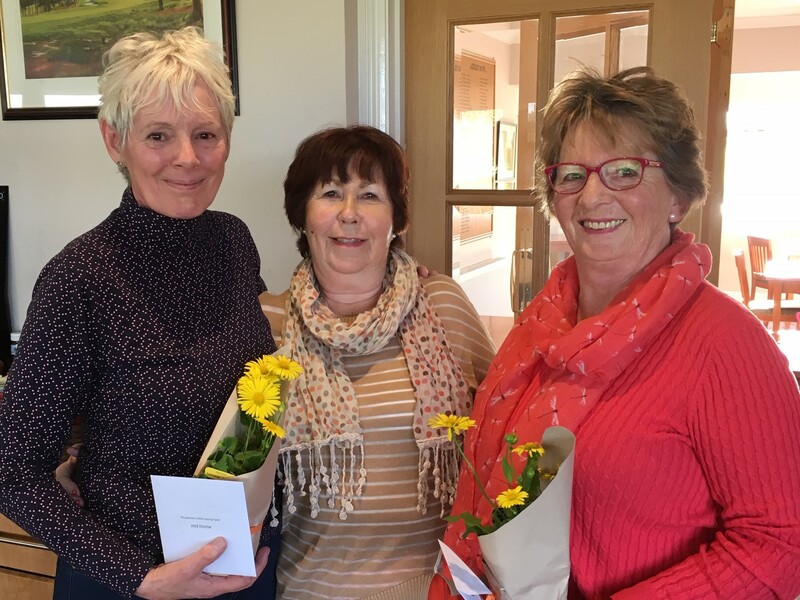 Congratulations to the winners from Cotswold Edge, Anne Crawley and Jacki Emerson (with 39 points) who seem to enjoy playing Kingsdown as they won this Open last year too. Members Katie Dove-Medows and Viv Monument did very well with an excellent score of 38 points. And well done to our last 2 x Ladies Captains, Chris Barnes & Leigh Page with a score of 38 points. The winners from Cotswold Edge below with Ladies Captain, Ann Vinall.. The winners thanking Ann Vinall and Kingsdown for a lovely day.